Motorbike Navigation Tech: How We Used to Do It and How We Do It Now! Technology is constantly evolving to make human life even easier. Fortunately for motorcyclists, technology has evolved where navigation is concerned too; this certainly proves useful for those long rides! Curious what the latest in motorbike navigation tech brings? Find out below! One of the highest awarded motorbike navigation techs is the TomTom Rider 400 Motorcycle Satnav. Specifically created for motorcyclists, the TomTom brand has certainly delivered one of the most advantageous toys in the motorbike navigation tech industry. The TomTom Rider 400 Motorcycle Satnav is tried and tested because this model was released in 2016. The satnav has a compact screen size of 3.5 inches, but also an anti-glare film that ensures better color quality in sunlight. The TomTom Rider also comes with optional Bluetooth headset and earphones, so you can follow directions easier. Of course, the TomTom Rider 400 Motorcycle Satnav would not be considered as one of the best without some extra features. For this satnav, the motorcyclist can count on speed camera alerts, huge points of interest database, and an ability to make Bluetooth phone calls. Nevertheless, we must mention that despite the outstanding functionality of the TomTom Rider 400 Motorcycle Satnav, the tech is far from perfect. As you would expect from navigation tech, the TomTom Rider does have some bugs. However, reported bugs are minor and don’t influence your journey. Another piece of wonderful navigation tech for motorcyclists is the Garmin Zumo 595LM. Even though Garmin navigation tech is not new, much like TomTom, the 595LM is certainly a successful upgrade of the equally popular 590 version. One of the advantages of the Garmin Zumo 595LM has over the TomTom is the screen size. 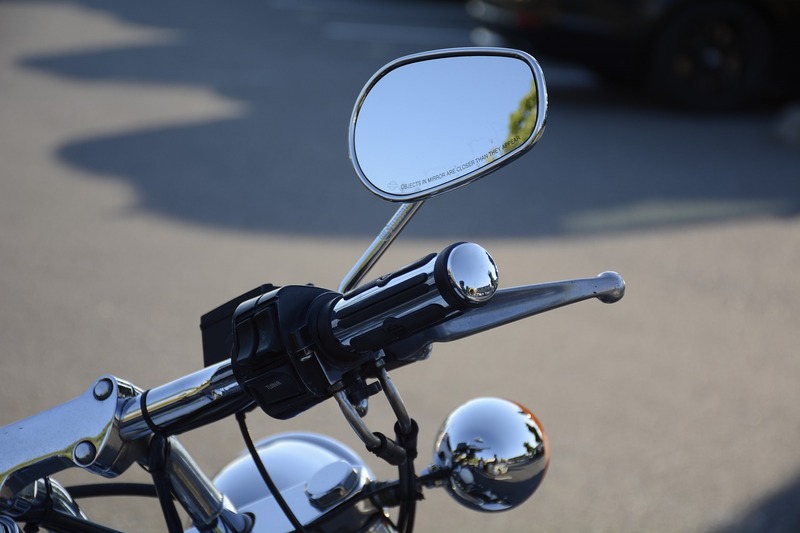 Even though compact is often better for motorcyclists, a screen of 3.5 inches could be considered as too small. Fortunately, the Garmin Zumo 595LM offers a larger alternative with a screen size of 5 inches. The Garmin Zumo 595LM has an accompanying headset, but many motorcyclists do not use it since the screen size is more than sufficient. The screen itself is quite clear too, not only in sunlight but also at night. Like TomTom navigation tech, the Garmin Zumo 595LM comes with some added benefits. Firstly, the Garmin 595LM includes free lifetime map updates for various countries; this includes the UK, Ireland and all European countries. While it may not be as suitable for the United States, we do recommend this navigation tech for motorcycle tours through Europe or England. When we mention navigation tech, we cannot forget about applications either. Even though it is useful to have a satnav on your bike, some applications prove remarkably useful to discover some of the best routes for bikers. One such an application is Best Biking Roads or BBR. Best Biking Roads is one of the better applications out there for bikers who want to go on an unforgettable biking tour. The application is specifically created for bikers and includes routes with a detailed description and pictures. With Best Biking Roads, motorcyclists can create their favorite routes too. Simply upload the route to the developer website through GPX upload. Once uploaded, you can share the route with your fellow bikers, but also take the route again yourself. Do you have a wonderful machine in your garage, but do you feel like you have never experienced its full potential? If so, you might need navigation tech such as the Diablo Super Biker application. The Diablo Super Biker is an application that measures your bike’s performance during your drives. It is not only suitable for normal drives on the public road though, because Diablo Super Biker is also a tool for the race track. So, if you are planning a day on the track, the Diablo Super Biker must be on your Smartphone. Navigation tech can tell you your route, but it can do much more than that. As proven by our previous application, some applications designed for motorcyclists can provide you with additional benefits! One additional application that offers more than navigation is East Sleep Ride. Opposed to focusing on performance and routes, this useful application is designed for bikers who are more interested in the social aspect of the biker world. If we would have to describe the application in one sentence, we would have to say it is the Facebook of the biker world! With East Sleep Ride, bikers can track their rides and organize group rides with other app users. East Sleep Ride also tracks certain aspects of your drive; this includes location, distance, speed, duration, elevation, and lean angle. Therefore, this application has some aspects like the Diablo Super Biker application. The final feature of East Sleep Ride is even more important, because it is a security feature that automatically sends information to your three closest contacts when a crash is detected. Of course, if you didn’t crash, you can still cancel the information transfer. One thing is certain, when you need an application filled with features, then East Sleep Ride (ESR) is a recommendation! While you may need an additional satnav for good measure, a normal satnav is not going to beat the available features offered by East Sleep Ride. Nowadays, you do not necessarily need a satnav to get where you need to go, because most Smartphones offer the same functionality. The only problem with a phone is battery life, since keeping your phone engaged for several hours may drain the battery to zero. Most bikers use a satnav for navigation, but also an application on their phone for some extra features. By using both you get some additional benefits too, because if one fails you always have the other where navigation is concerned. So, next time you struggle to choose between application and satnav, you know you don’t have to make that choice.